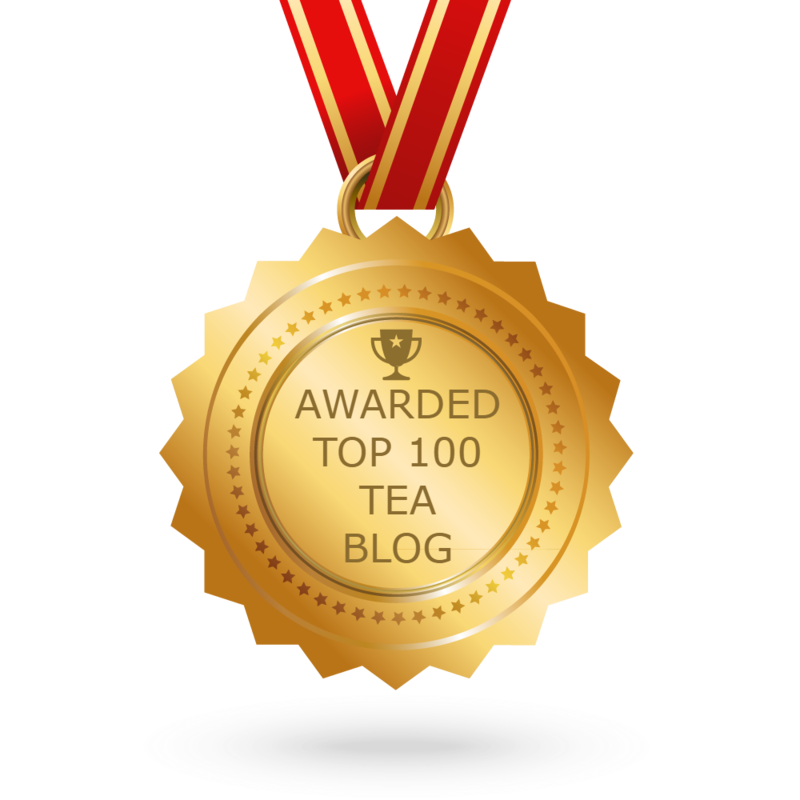 Tea With Friends: 'Tis the season … to decorate! 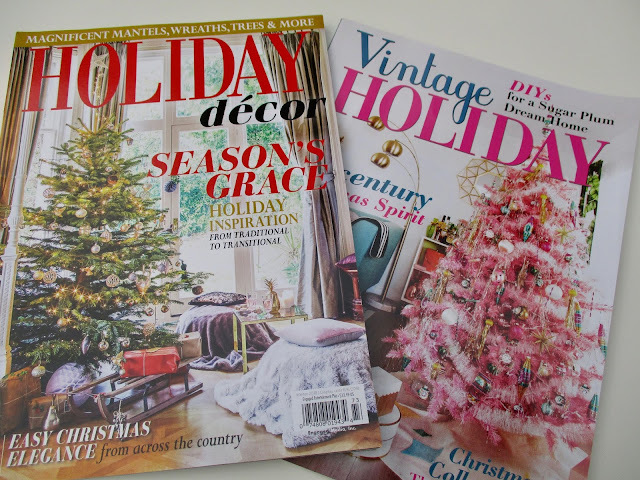 The holiday decorating magazines have hit the local newsstands, and I wanted to share two of the new ones I'm enjoying, Holiday Decor and Vintage Holiday. 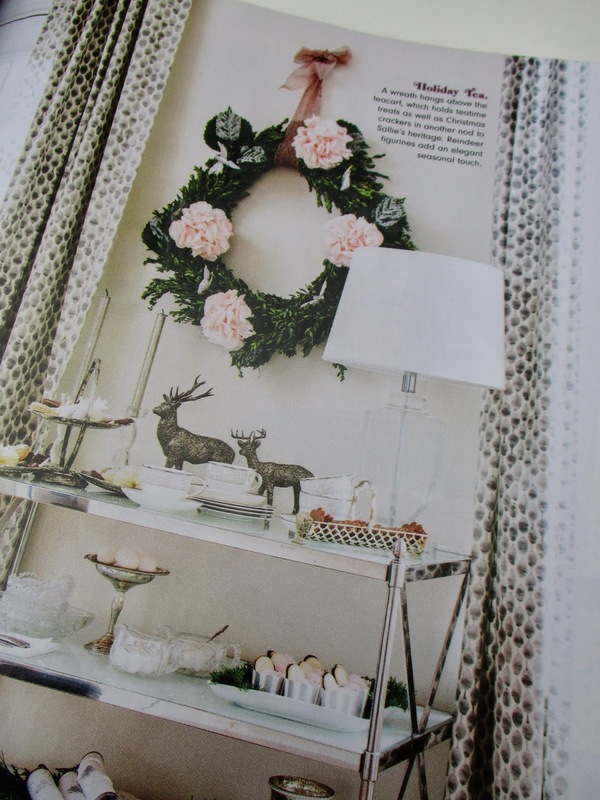 Traditionalists and minimalists might enjoy seeing this pastel-decorated tea cart in Holiday Decor magazine. I love the understated elegance here. And this little detail on the tea cart caught my eye: cookies served in some of those pretty scalloped baking cups. I've used those to make cupcakes and to serve sliced fruit, but this photo made me realize that bite-size brownies, lemon bars, shortbread bites, and truffles would also be pretty served in these cups. 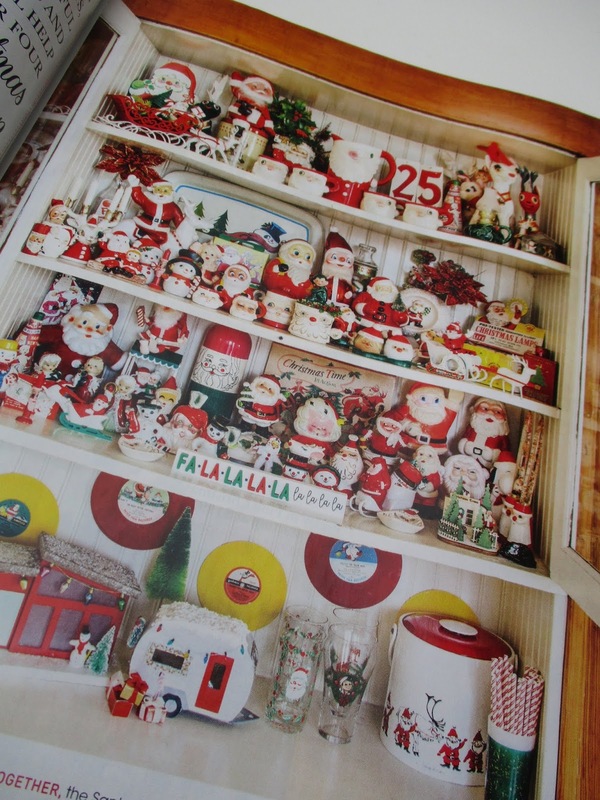 I'm looking forward to pulling out my Santa mug collection again this year, so I enjoyed this photo in Vintage Holiday magazine (plus, I'm still hankering for one of those vintage campers like the one shown on the bottom shelf). Vintage Holiday also used a metal tea cart — they call it a "bar cart," but whatever — to display a Christmas vignette. I like this idea as well! 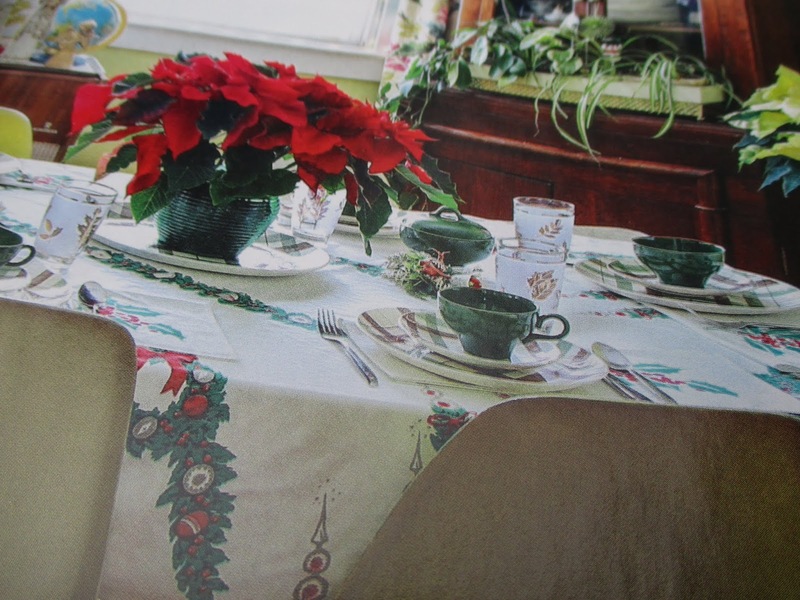 And Vintage Holiday also shows a vintage Christmas tablecloth with mix-and-match plates and teacups, and it dawned on me that those old green teacups would blend well with some new Ralph Lauren plaid dessert plates I've been using at Christmas. So those are the first two Christmas magazines I've read this year, and I enjoyed them very much. 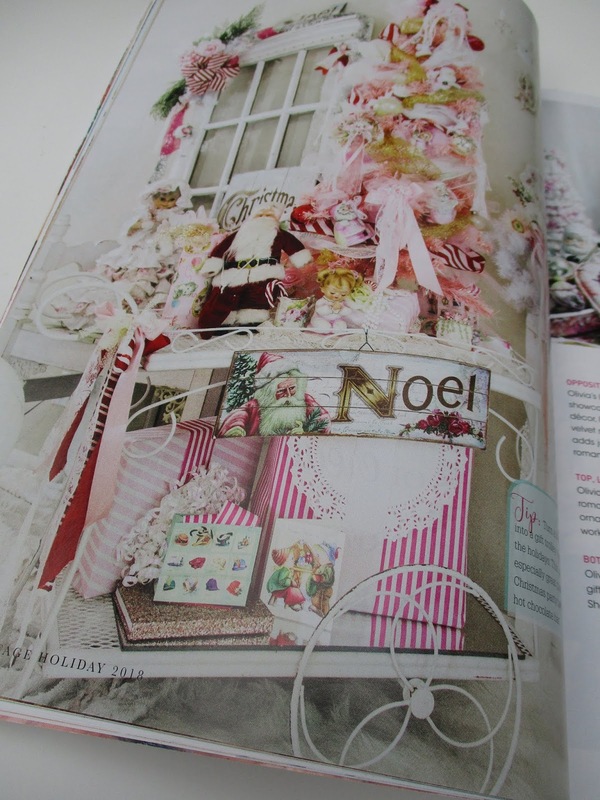 Have you started reading Christmas magazines yet? Spotted tea in any of them? 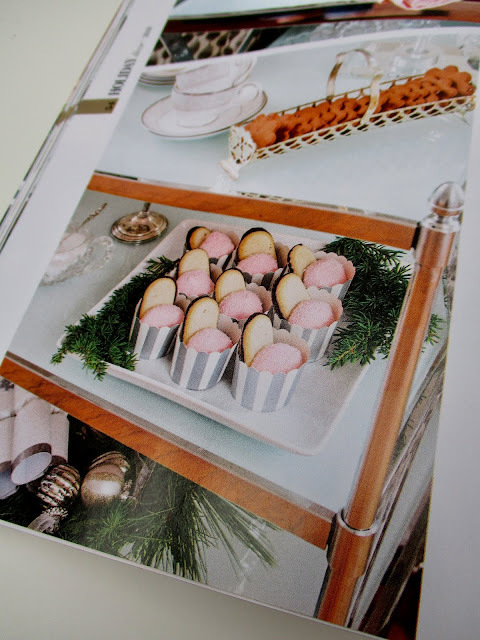 I do like the idea of serving cookies or other small treats in the cupcake papers. I've seen candy served in them, too. But oh, I want to find that Vintage Holiday magazine! I have just a few of the ornaments from my childhood but I love seeing photos of vintage decor. And of course that display of Santa mugs spoke to you! (and to me, although I don't have a collection. I still like them!) I could look at Christmas magazines all year long, I need to find this one soon. That vintage Christmas tablecloth is nice! 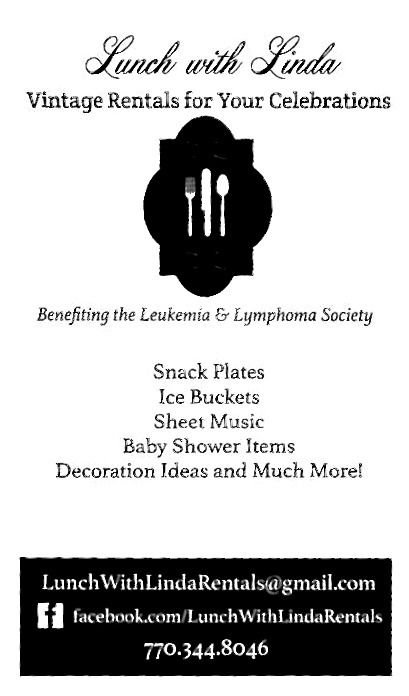 I'll also keep in mind that idea of using those pretty scalloped baking cups for other things. I haven't looked at any Christmas magazines yet except for "Southern Lady," which I just received. 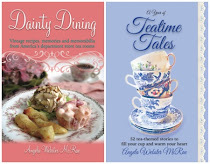 It has LOTS of pretty holiday table arrangements, using many different china patterns (and I do love china!). One of the lovely 2-page photos shows a home in Williamsburg, VA, decorated for Christmas, and in front of the fireplace is a tea table set with an antique tea service. Yes, I started with the music and magazine on my road trip last weekend. I am savoring Victoria's Classic Christmas magazine right now and then the new Victoria just came and has Christmas in it too. Oh, swoon! Love seeing your magazines too. 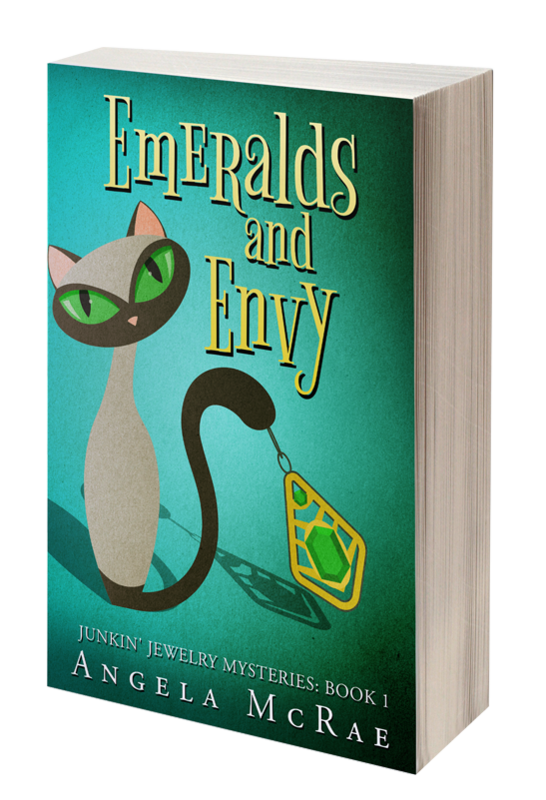 Looking forward to a Christmas antique show on November 16th, then I will be in full mode, but definitely thinking. Reservations made for Christmas dinner this year in a lodge just today.